Welcome back to Flash Friday, my weekly look at the things in my collection that I thought others may find interesting. Last week I left off saying that what I’d be discussing would involve Jay Garrick, Wally West, and Captain Cold. 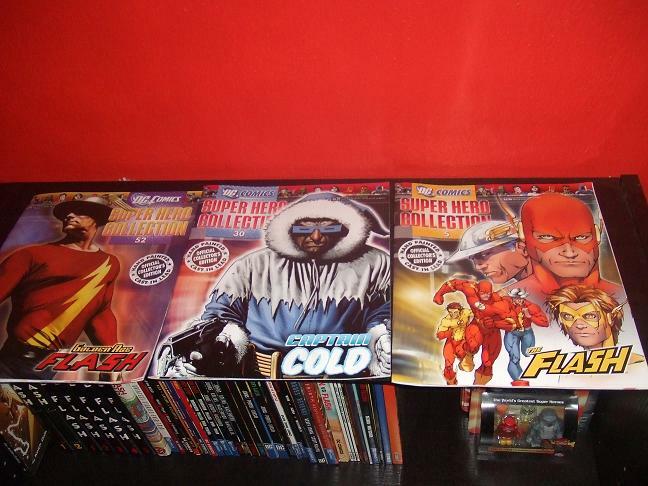 So today I present to you Dc Comic Super Hero Collection issues 5, 30, and 52. What is so cool about these magazines? Check out after the jump. After last week, I was going to try to slow down. Even skip the bar for a week. Considering the state of my head this morning, I have failed at doing that. Next week we’ll probably skip Hangover Thursday. 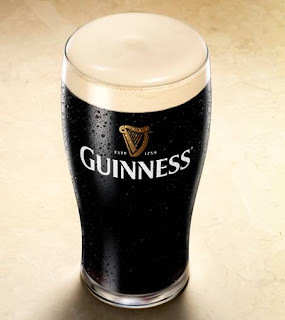 Although on the 8th will be a marathon session at the bar, so expect a few more beers off my list. Anyway, so back to my progress to get my own mug, here are beers 26-31. 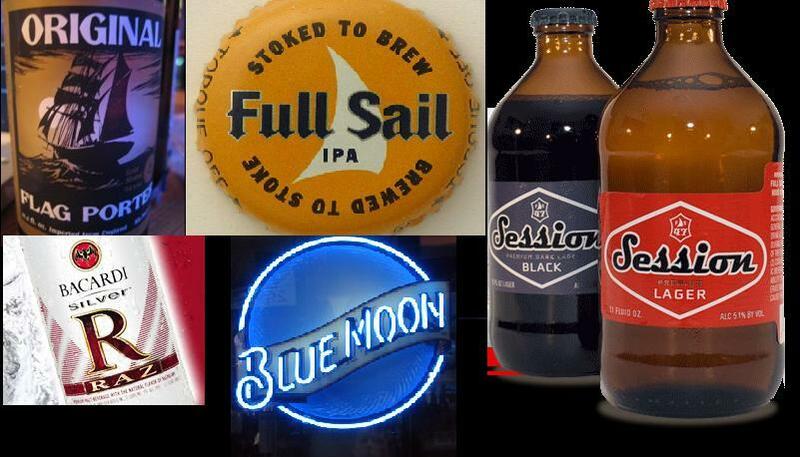 Flag Porter, Full Sail IPA, Bacardi Silver Raz, Blue Moon, Session Lager, and Session Black. I'm going with one mass image again, I like that better then the split up ones. Here are my thoughts on it all. Flag Porter is a fine tasting beer that I would order again. While I don’t normally like IPAs, Full Sail’s grew on me. Bacardi, ugh, I couldn’t get around it. I have to try everything on the list. It wasn’t fun, but I drank it down pretty quickly. Next up was Blue Moon, a pretty well known beer. To continue the mocking I got with the Bacardi my Blue Moon was adorned with so many orange slices it looked like a fist. They topped it off with a bendy straw. Then I got to the Session beers. Wow. The lager is good, the Black is divine. Seriously it is an amazing beer and I need to track it down so I can keep some in my fridge. Session bottle caps also have Rock, Paper, Scissors on them. So if you and a friend are both drinking you could play to see who pays for the round. That’s enough for now; I’ve got to get more Gatoraide in me now. Still feeling pretty bad. You need to be reading The Abominable Charles Christopher. Really I could just end the blog post with that today. Karl Kerschal’s web comic is that good. The story alternates from Charles’ journey to the every day lives of the other creatures of the forest. It updates every Wednesday and is one of the first things I check for on Wednesday mornings. What’s so amazing about Abominable? Check out after the jump. 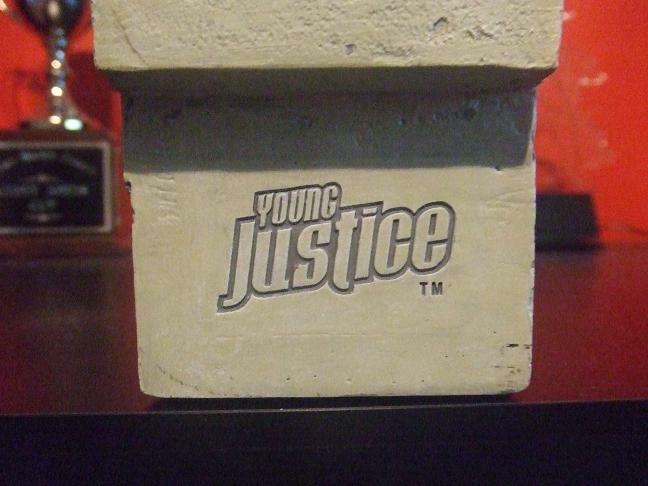 There is a Young Justice Cartoon coming out for the Cartoon Network. Instead of the team directly from the comics the team will be Robin, Superboy, Kid Flash, Miss Martian, Artemis, and Aqualad. 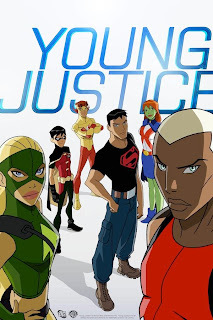 The new Aqualad is just showing up in comics now. The Kid Flash looks like it could end up being Wally, which is odd because the picture of the adult Flash also looks like Wally. And then there is Artemis. Who is she? Anyway, lots of talks and sneak peaks about this show are going on in San Diego right now and I have a theory. Check out my total guess after the jump. ng Since last week was about a piece of art that celebrates Bart Allen I figured I’d take a look at something a little earlier in his career. 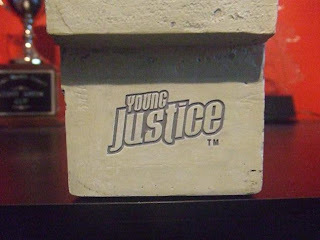 Today I’m going to be talking about the most recent addition to my collection. My local comic book shop has a giant collection of older toys, statues, and mini-busts. The day after I noticed today’s subject sitting on the shelf the store had a giant sale where you could get one item 30% off. I wasn’t looking to buy an expensive statue, but it was like fate. I couldn’t resist. So what is it? Check it out after the jump. So very, very hung over today; so this will be short. 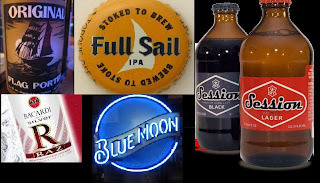 The beers to cover the past two weeks are Bitbuger, Eightball Stout, Fullsail Amber, Maudite, Moosehead, Orange Blossom Pilsner, Sea Dog Hazelnut, Amberboch, Mich Ultra, Narragansett, Sea Dog Blueberry, Rogue Dead Guy, Red Brick Ale. It matters not what you fight, but what you fight for. Despite what it may look like on the blog, my comic budget has shrunk considerably in the past year. I’ve moved mostly to trades except for two titles. It shouldn’t be surprising that one of those is the Flash, but the other is Mouse Guard. It is one of those books I’ll happily pick up the individual issues and then spring for the hardcover when that is released too. So what’s so great about mice? Check out after the jump. I had something else planned for today when in his blog, Michael May made the comment, “Asking me my favorite flower is a little like asking me who my favorite Ewok is. I really don't think about them enough to have a preference.” I threw out a reply that said Paploo was my favorite Ewok. I wasn’t even joking either. I knew that name off the top of my head. So I wanna talk Ewoks today. 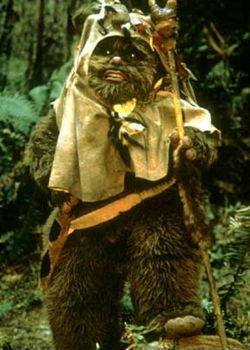 Sure I know that long before the prequels that Ewoks were the thing that all the cool Star Wars kids hated. But I like Ewoks and I’ll tell you why. Maybe I'll change your mind too. More yub-yubing after the jump. Flash Friday continues! There was some discussion about Marc Guggenheim with the recent announcement and it got me thinking about his take on the Flash. Some background information for those not in the know. 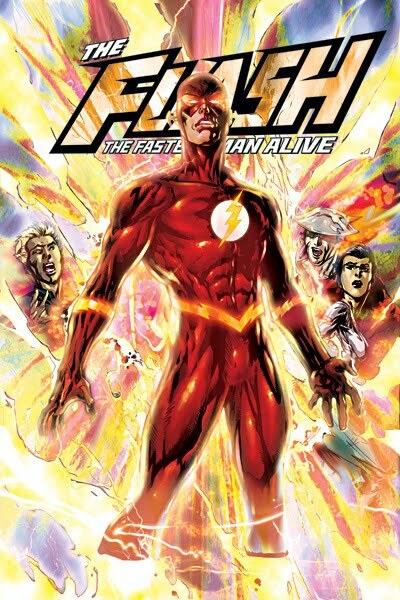 Flash: Fastest Man Alive arrived in June of 06 and starred an aged Bart Allen. The book started out being written by Danny Bilson and Paul DeMeo. There were giant changes. Wally’s family was still missing with little to no explanation why. Bart’s new attitude was dark and moody. I think most of it came from editorial, so I don’t blame Bilson and DeMeo, but the new series did not start off well received. Marc Guggenheim came in next. He moved Bart out to LA and had him training at the Police Academy. It turned me around. I was really enjoying the book again. I liked where the book was headed. And then they killed Bart. I was picking up the Flash monthly when Bart first appeared, I picked up his solo book, I bought Young Justice originally just for Bart. I’ll admit it here, those last couple pages of Fastest Man Alive hurt. So after all that, what Flashness do I have to show you? Check it out after the jump. We interrupt this regularly scheduled blog post with breaking news. Francesco Francavilla has dedicated the week to giant robots. As a fan of robots and Francavilla art it would be wrong of me not to pass on the word of this amazing art. Seriously I’m hoping we’ll still get to see Gao Gai Gar, cause King of the Braves is my personal favorite Giant Robot. Hell just his theme song alone could destroy most lesser robots. So go check out Giant Robot week and can anyone tell me why Megas XLR isn’t on DVD?? 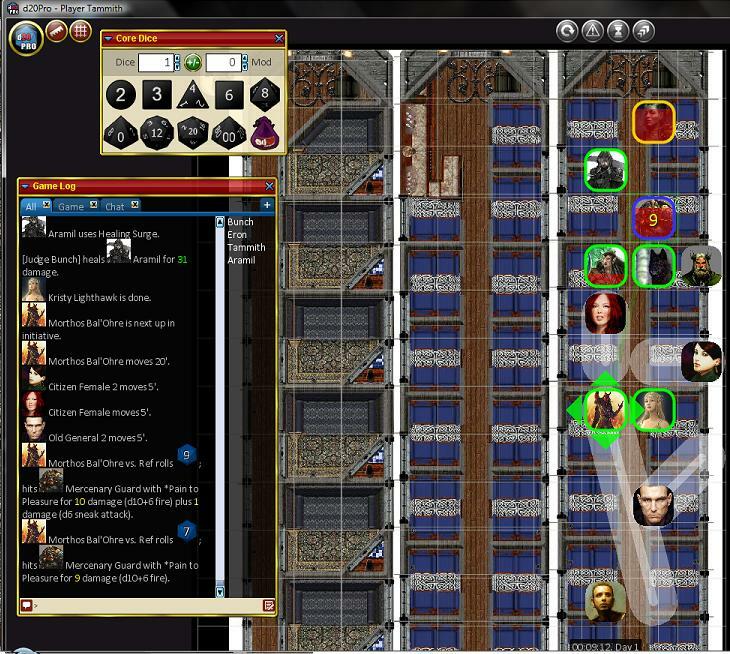 I got a Dungeon Master’s Guide; I got a 12 sided die. I will freely admit I’m a geek. But not just any geek, I’ve participated in just about every activity that people deem as geeky. 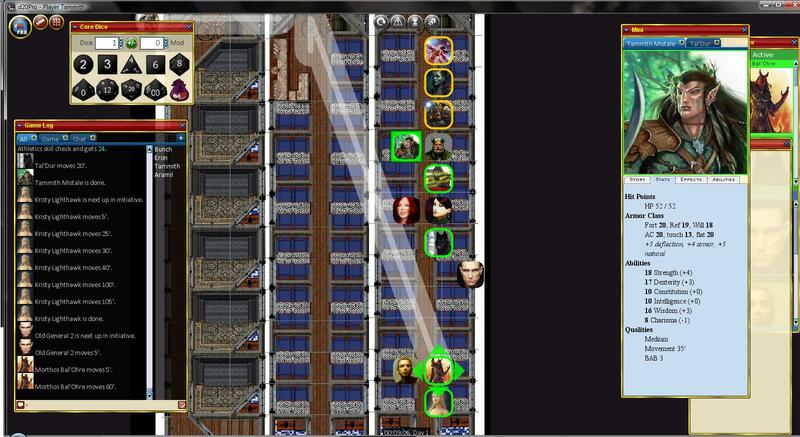 One of those things is playing roleplaying games. I started rolling funny shaped dice when I moved down to Florida as a kid, so I was probably eight. Starting with the basic boxed sets I’ve played pretty much ever version of D&D and a ton of other games. Sadly, I’ve gotten older and the people I play the game with have gotten older too. It isn’t as easy to meet up. We’ve got spouses and other obligations. People have moved away. Real life has gotten in the way of my play time. 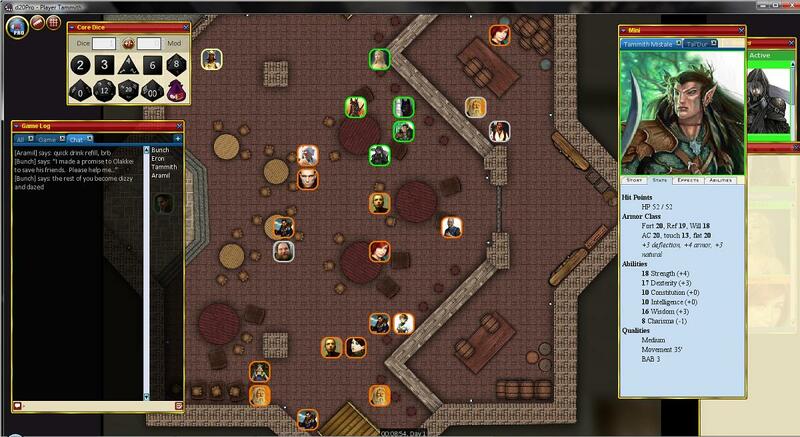 Luckily there is an answer; a program called D20 Pro. 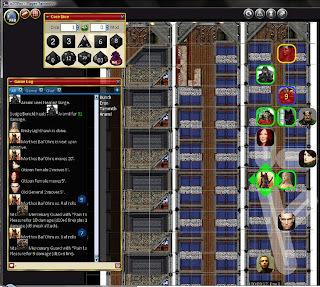 In my group’s setup we use the D20Pro program and use Skype to provide the voice. It is fantastic. Everyone can play from the comfort of our own homes and it doesn’t matter that one of the players is at the opposite end of the state. 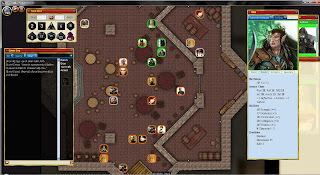 It is more work for our DM, he has to load all of our characters and all the bad guys. 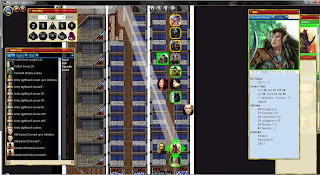 We made it even more difficult by running 4th ED through the system, but there are enough mods out there that you could probably run any game system through it. This weekend I had to make a trip to the local Hallmark store. Why the big rush? A good portion of the Christmas ornaments were released this weekend. Now normally, this would not a big deal. I’m a little more into Halloween then Christmas, but this year Hallmark had something that I felt my soul was lacking. For the past couple years Hallmark has been releasing Muppet ornaments. Two years ago they put out an amazing Statler and Waldorff sitting in their balcony. Press a button and they rotate through about five different sayings. Last year was Swedish Chef. The Chef is near and dear to many people’s hearts, but I’ve never been a big fan, so I skipped it. This year though is Animal!! 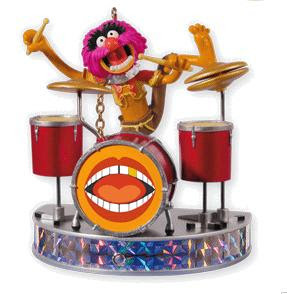 Animal is sitting at his drum set, which has a great Dr. Teeth image on the bass drum. Press the button on the base and you hear him drumming away and yelling along. The speaker isn’t as loud as the one on my Statler and Waldorff unfortunately, but it sounds great anyway. I’m a giant Muppet fan and Animal has always been my favorite. I was so worried about this thing selling out I bought a Christmas ornament in July. I’ve barely got time to even post this today, so somewhere down the line I’ll write up something about my love for the spastic drummer and some of the Animal related items I’ve had over the years. It's Flash Friday at That F’ing Monkey. For the past two weeks I’ve been looking at those special pieces in my collection that you can’t just walk into a store and buy. 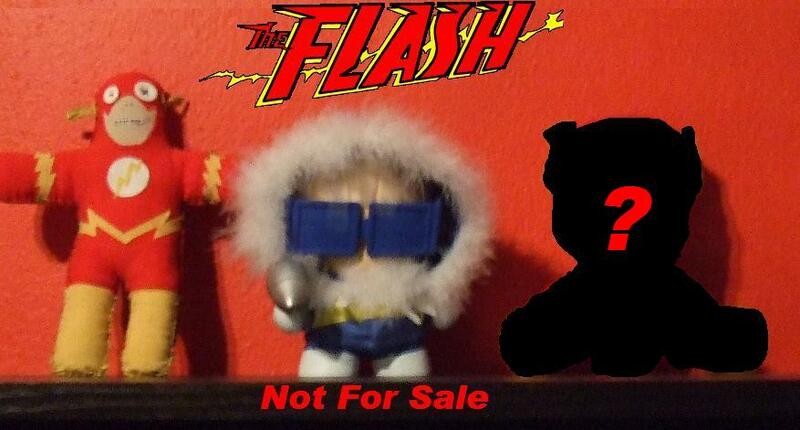 Week 1 I showcased a custom Captain Cold Munny. Week 2 was all about FlashRag and his friends. This is the third week of Flash: Not for Sale and sadly is the final week. I’ll still be talking about Flash on Fridays, but this third entry is the last custom piece in my collection. Bob Probert died Monday. He was boating on Late St. Clair with his family where they said he collapsed due to chest pains. He was only 45 and he leaves behind a wife and four children. The name Probert probably doesn’t sound familiar to most people reading this. He was my favorite Hockey player. 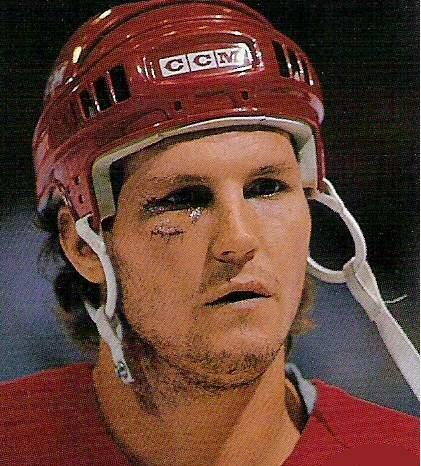 He was drafted to the Red Wings in 1983 and played with them from85 until 94. Afterward he played for the Blackhawks from 95-02. In 87-88 he was in the all star game for putting up 29 goals and 33 assists; he did all of that the season he served 398 minutes in the penalty box. Career wise he had 3,300 penalty minutes in 935 games; 5th highest in the NHL record book. He holds the Red Wings franchise records for career penalty minutes and penalty minutes in a season. More 24 after the break. Flash Fridays continues at That Fing Monkey. Last week we started looking at a few items in my collection that you can’t just buy off the shelf. Because these are all projects worked on by either friends or family I’m doing the countdown chronologically. This way I don’t have to pick a favorite. Which is good because, I’m not sure I’d be able to, even if I was pressed. 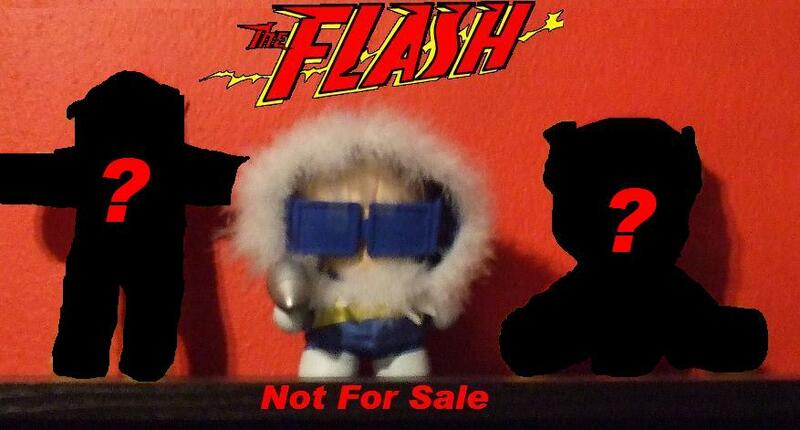 The first entry in NFS was the Captain Cold Munny that my wife and I worked on. She did all the sewing, so her skills really shine on him. I did all the paint. So who is the second entry? Number 2 is revealed after the jump. Due to a surprise family event last night I wasn’t able to head to the local bar. Hung Over Thursday has been postponed until next week. Today will be a prelude to Flash Friday. 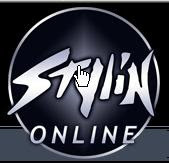 I mentioned in my review of Botcon that I wanted to talk about Stylin Online, so today looks like a perfect opportunity to do so. Stylin Online is T-Shirt seller of comic book shirts as well as other pop culture properties like movies and television shows. If you’ve ever been to a comic convention, you’ve probably saw the massive castle like structure of T-Shirts. Or maybe you’ve stumbled upon their website. What I want to talk about today is a recent experience with an internet order. So what happened? More Stylin after the jump.